Determining how best to use your resources when building a quality web presence can be challenging. Without some guidance and assistance, knowing where to begin is a tough situation. Fortunately, there are many resources available that can help you maximize reach, impressions, conversions and more. 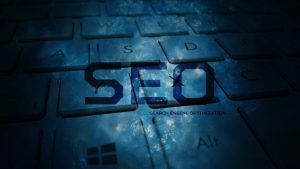 With SEO specifically, tools are available that can aid in improving all of these elements and more. Today, we’ll look at four more great SEO tools that can be used by brands to get the most value out of their pages, content and marketing. Targeting relevant niches and keywords is a huge component of SEO, but it can be difficult to drum up new ideas after awhile. While you may feel as if you’ve focused on and targeted every niche imaginable, there are certainly new ways and phrases you haven’t discovered. Enter Ubersuggest, which is a great solution for pinging search engines for new ideas. This tool mines autocomplete data and gives you hundreds of recommendations based on one or more simple keywords. Important statistics about each entry are also included to help you better make a decision for each specific recommendation. Increasingly, brands are turning to sites like Quora and Reddit for new ideas and topics. With so many questions and demands for answers on the web, using these communities is a sure-fire way to discover new opportunities. Enter Keyworddit, which is a scraping utility that scours Reddit for information, questions and ideas related to specific keywords you enter. Just input one or more phrases and let Keyworddit do the rest: it’ll return info relating to your queries, as well as average search volume for each topic. Additionally, each phrase and recommendation links you to the context of the topic, which can be helpful in determining how best to target these phrases. While the broader responsibilities of SEO can never be fully automated or entrusted to machines, you can derive plenty of benefit from plugins on your WordPress website. Arguably one of the most beneficial plug-ins available is Yoast SEO, which is a mainstay in the modern era for webmasters. Completely free and highly-detailed, Yoast SEO provides recommendations for how to optimize every single aspect of your pages and posts, from keywords and links to headings and media. With millions already using this vital plugin, you owe it to your brand to give this utility a shot. While Google gets the overwhelming share of attention in the game of SEO/pinging search engines, Bing should not be ignored. The search engines offers a comprehensive set of tools and analytics in the form of Bing Webmaster Tools, which can help you effectively plan and monitor SEO efforts on its platform as well. Besides providing keyword ideas in an easy-to-digest format, Bing Webmaster Tools also serves up organic data that can be helpful in planning SEO efforts and even digital marketing strategies. Whether the goal is to target keywords, improve rankings, build links or outmatch the competition, you need a variety of tools on-hand to make it possible. These four utilities can help level the playing field and give you an edge in improving your website’s overall standing in Google, Bing & beyond. These above 4 are the best SEO tools for auditing your own website.